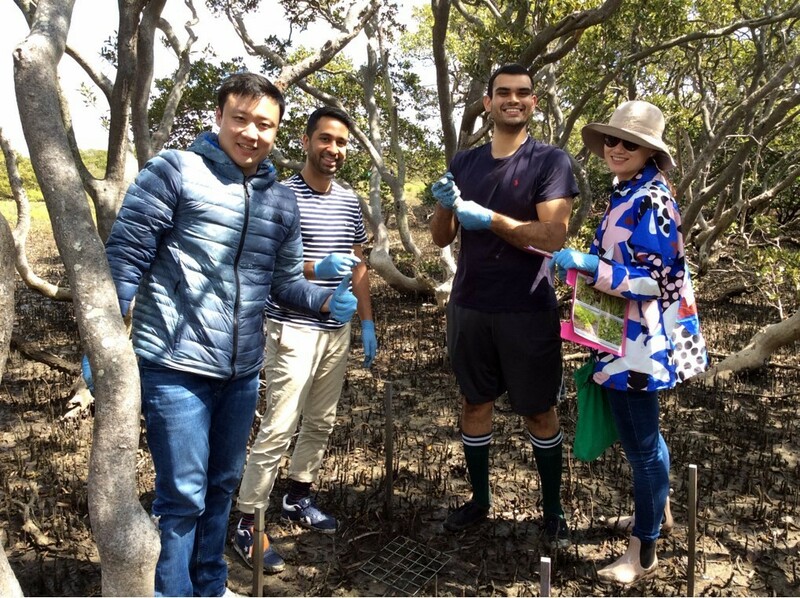 Citizen Scientists joined us at Towra Point Reserve to carry-out the LAST sampling of our Nutrient experiment! 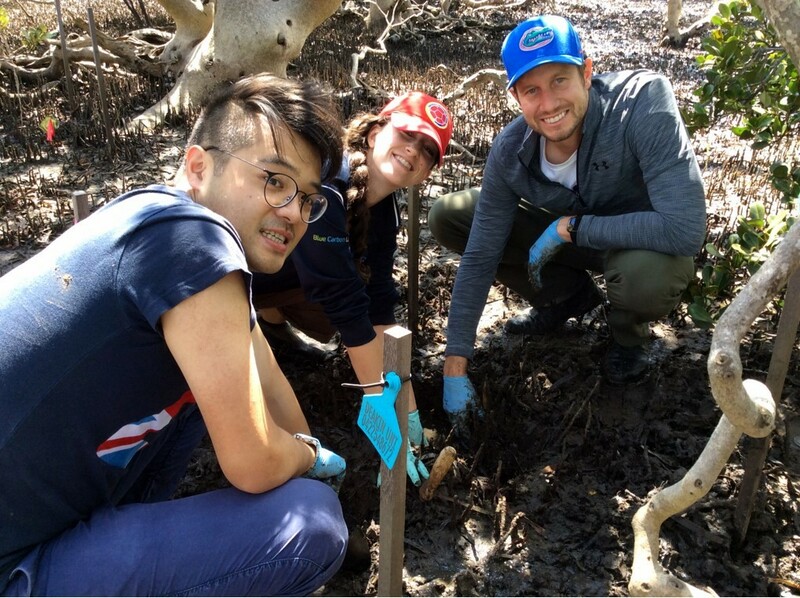 The experiment, which looked at the effects of nutrient run-off on Blue Carbon stocks and fluxes, was set by citizen scientists in June, and had been monitored by subsequent teams in August, September, November. 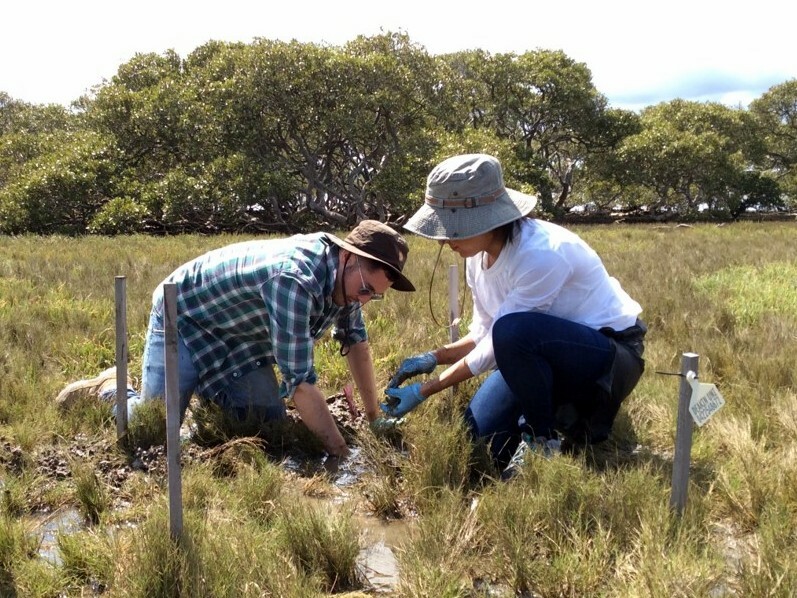 This March field trip would be final one, with the 30 experimental plots to be sampled one last time (ie. to capture the effects of the warm summer temperatures on the plots). 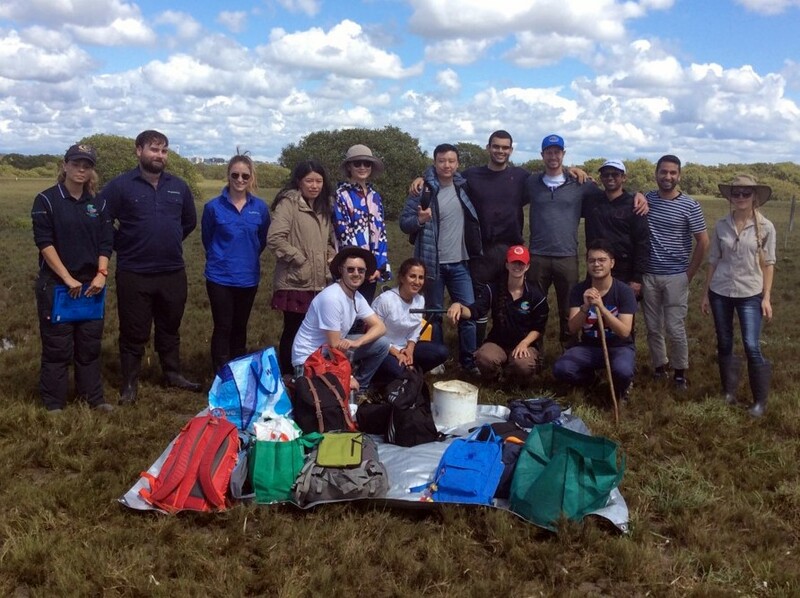 After the morning talks at HSBC’s Barangaroo office, participants traveled to the field site, where different wetland sampling protocols were demonstrated. 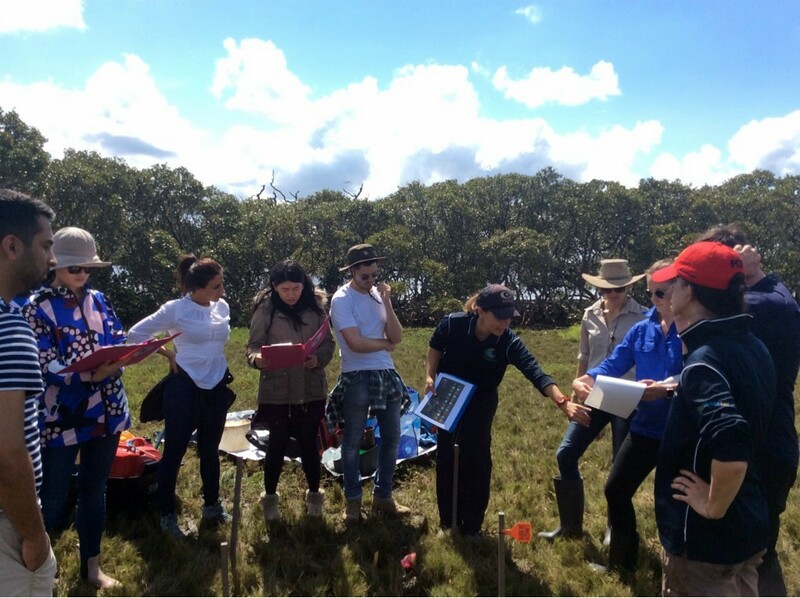 Soil cores, microbe samples, and plant surveys on each of the plots were completed in just a couple minutes, with most of the time and efforts spent trying to recover all the tea bags (including those lost by previous participants). Tea was very hard to find, since in the last 9 months flags were moved, labels erased, roots had grown and much of the soil had been mixed. Some teams were unlucky and had to search blindly for their tea bags, as lots of ground water had inundated their plots! (ie. search was all relegated to the touch & feel of the bag in the mud). Despite the many issues, the search was quite successful! From the 240 tea bags deployed 9 months ago, we managed to recover 219. This team alone was in charge of recovering 58 tea bags. 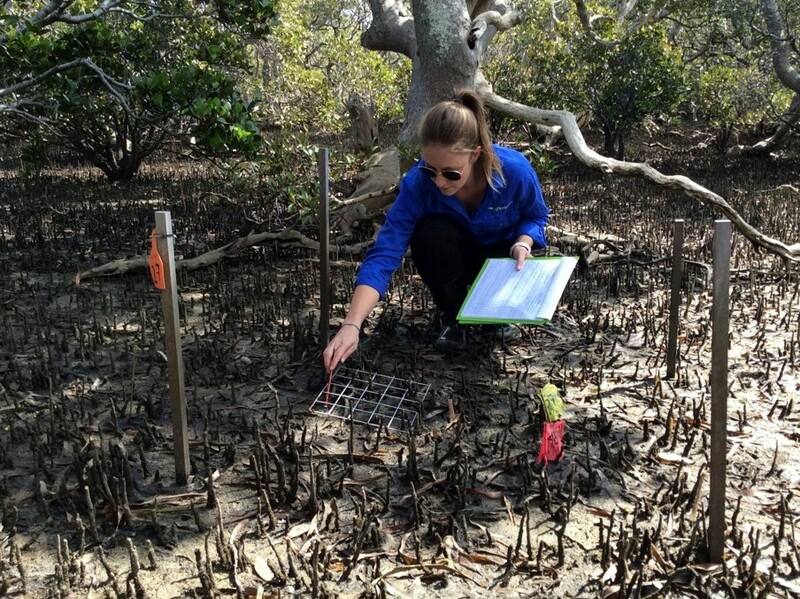 Many thanks to all the participants that joined the #BlueCarbonArmy and participated in the nutrient research! All the samples are now being processed and we will soon be able to share all the results and findings form this project.